Dual pixel technology widely used in photography in mobile devices and SLR and DSLR cameras .Dual pixel technology effectively divides every single pixel into two separate photo sites. 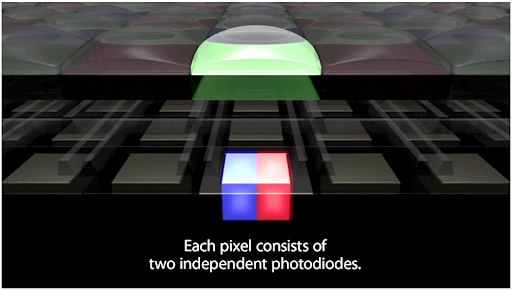 Each pixel consists of two photodiodes that sit side by side next to each other under a micro lens. While focusing, the two photodiodes receive different inputs as they receive light from separate angles. Essentially acting as a phase detection focusing system, the camera is able to perform much better in terms of focusing in low light conditions. When capturing images, the photodiodes work together in concert to create a single pixel output with the outputs being summed together. First things first, light is the biggest factor in photography. A higher pixel size simply means that the photosites themselves are larger and allow more light to fall on the sensor. More light on the sensor means that it is able to resolve more data and give you better photographs. Simple, right? 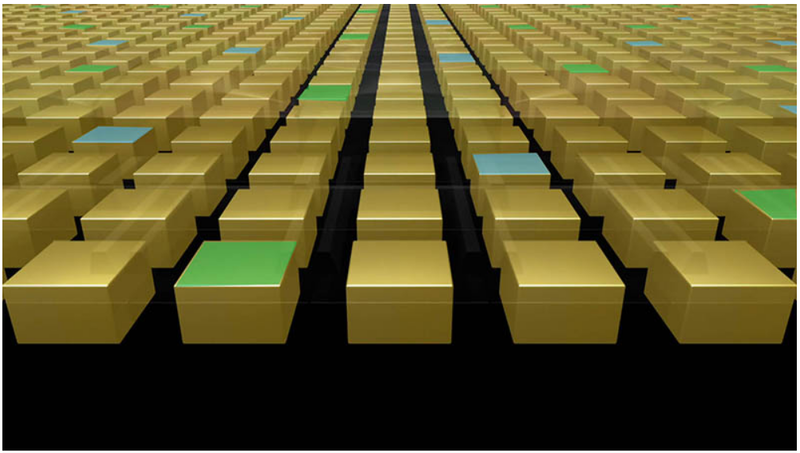 A larger sensor, however, is physically larger and simply takes more space within the phone. As phones get slimmer, putting in a physically larger sensor isn’t always feasible. There’s got to be a better way! Computational photography and Dual Pixel technology have been some of the biggest advances in improving smartphone photography over the last few years. The Vivo V11 Pro claims to make use of both to improve imaging across the board.There’s a lot going on with the camera on the Vivo V11 Pro, the 12MP primary sensor that is paired with a 5MP secondary sensor for better low light capabilities and of course, portrait mode. What caught our eye was the f/1.8 aperture lens on the primary camera that should go a long way in improving low light capabilities. The 1.28 µm pixel sensor size too is adequate to enable high quality low light photography. The most interesting of course is the dual pixel technology that is poised to improve low light capture and more importantly, the autofocus capabilities. Focusing alone plays a big role in how a camera performs. Now, pair that with the 1.28µm pixel sensor size and the f/1.8 lens and you are looking at a system that at least on paper is capable of some really good night time shots. Superior daytime imaging is, of course, a given. The Vivo V11 Pro is clearly shaping up to be quite a performer from a camera perspective and more so if you add in the 25MP front-facing camera that it is believed to ship with. The camera sensor is made up of many small pixels. In a traditional camera, those pixels functions to capture light which comes from the object we are trying to capture. In dual pixel technology, those pixels act as two subpixels. See the below image. Among these tidbits the Dual Pixel autofocus technology took a back seat but we think it’s the most advanced aspect of the module. In its essence, Dual Pixel is the same Phase Detect technology that top-tier smartphones, DSLRs and mirrorless cameras have been using for quite some time in one form or the other. However, Samsung chose to name it differently from regular Phase Detection autofocus because their latest implementation is unlike anything we’ve seen before on a smartphone. It’s Phase Detection 2.0 for the smartphone world. We’ve seen our share of smartphones touting Phase Detect autofocus last year. They all use a hybrid autofocus solution, which combines the benefits of contrast detect and phase detect autofocus systems. Where Phase detection really shines is in good lighting where it allows hybrid autofocus systems to acquire accurate focus faster than conventional contrast detection systems. In its smartphone implementation phase detection usually relies on special photodiodes embedded into the pixels on the sensor. Apple even went as far as branding them as ‘Focus pixels’ when they announced the iPhone 6 – a proprietary term they came up with to describe conventional technology. These photodiodes, however, are scattered few and far between across the sensor surface and only as few as 5-10% of the total number of sensor pixels are phase detection enabled.Now, with Dual Pixel technology, Samsung has embedded a phase detection photodiode in each and every pixel on the camera sensor. The single pixel is divided into two sub pixels and both subpixels work independently to capture light from a different angle. 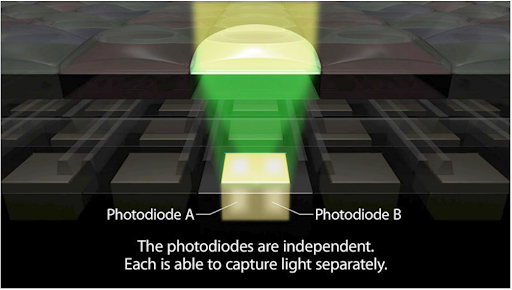 Here Photodiode A and Photo-diode B both capture light from a different angle which eventually, produce a better image. For better understanding see the below image which is the structure of dual pixel CMOS AF. This dual pixel technology provides us with fast and sharp auto-focus, better image reproduction, and better object detection. Dual Pixel CMOS AF is a sensor-based, phase detection Auto Focus (AF) technology designed to provide smooth, high-performance focus tracking in movies and fast autofocus acquisition when shooting still photos in Live View mode. It is a unique, Canon-developed technology, ideal for creating professional-looking pull-focus effects and keeping a subject moving towards the user in sharp focus while maintaining a blurred background – a defining characteristic of EOS Movies.Thanks to this groundbreaking advance, capturing a subject and retaining sharp focus, even when moving, has never been easier.